You know something’s a hit when you just can’t stop hearing about it. Such is the case with Hulu, the online site where U.S. users (sorry, world!) can watching popular television programs for free. 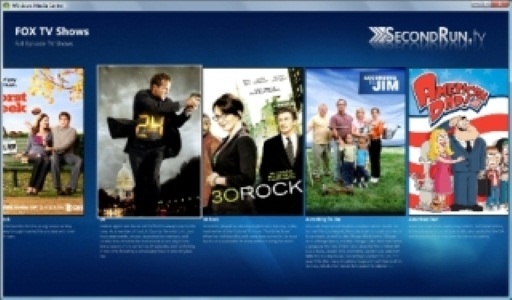 Since Hulu is a web service, we’ve started to see many different ways which people are integrating Hulu with their Media Center PCs including the new PlayOn plugin, the XBMC plugin for Hulu, the upcoming software from Boxee, and soon-to-launch plugin from SecondRun.tv. But still there’s more coming. The latest tip comes from The Media Center Blog, where we learn that the beta version of the TunerFree MCE plugin delivers Hulu to Media Center, too. Why choose this one over the others? Well since developer Martin Millmore is in the UK, his plugin also offers some of the best British IPTV content, including BBC News, ITV, Channel 4 and 5. You can download his plugin (beta) from here.